Timber (Wood) has an honest charm and character that cannot be easily replicate. Traditional and environmentally sustainable timber has been used by man, since time immemorial, to make a multitude of useful products. The use of timber (wood) in the manufacture of windows, doors, conservatories and orangeries has been one of the most practical and successful enterprise. 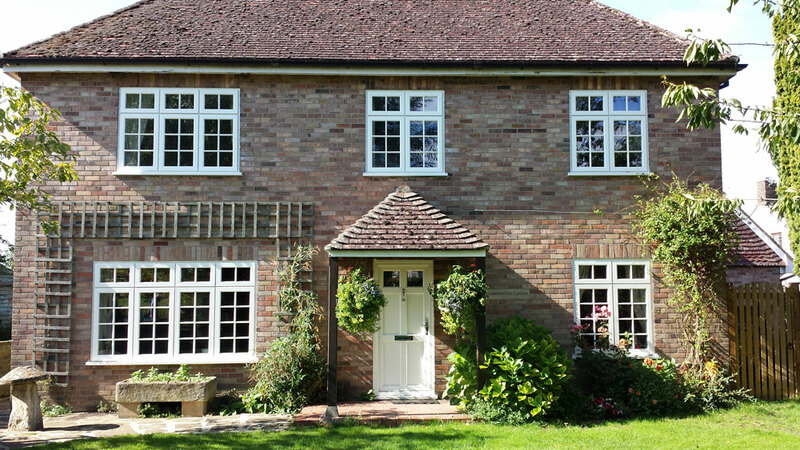 Timber windows and doors offer not only aesthetically pleasing designs that truly complements any property but also provides insulation and security. The latest technology from Europe and North America has been employed in the manufacture of a range of high quality windows and doors of unrivalled quality and performance. The timber species used in the manufacture of timber windows and doors are European Redwood, Meranti (hardwood) and Oak. Engineered timber i.e. multi layered timber sections with opposing grains are used to resist warping and combats twisting. Wrap around security locking, engaging bolts in multiple points around each sash not only provide advanced security but ensure that all sashes remain tight on seals and square within the frames. All timber windows and doors are glazed as standard with double-glazed units which incorporate enhanced thermal insulating glass. Argon gas filled cavities with a low conductive spacer bar produce an exceptional insulation barrier of 1.1W/m2K centre pane U-value. This means that on average there is an 80% increase in energy savings compared to single glazing and a 45% increase in energy savings compared to ordinary double glazing. Factory applied micro-porous coatings provide maximum protection with minimal maintenance. All timber windows and doors receive a base coat of timber preservative, then a primer coat, followed by two coats of micro- porous paint or stain. A micro-porous paint or stain allows the timber to breathe and therefore will not blister or separate from the timber as paint or varnish will.